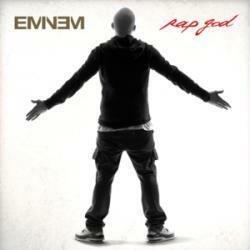 RAP GOD es una canción de Eminem del año 2013. La letra ha sido escrita por Bigram John Zayas, Dania Birks, Douglas L Davis, Fatima Shaheed, Juana Burns, Juanita Lee, Kim Nazel, Marshall B Mathers, Matther Arther Delgiorno, Ricky M L Walters, Stephen Hacker; publicada por Sony/ATV Music Publishing LLC, Universal Music Publishing Group, Kobalt Music Publishing Ltd., SHELLY BAY MUSIC, MISSING LINK MUSIC, SLICK RICK MUSIC CORPORATION, BMG Rights Management. Agradecemos a Emanuel Matteucci por haber subido la letra.